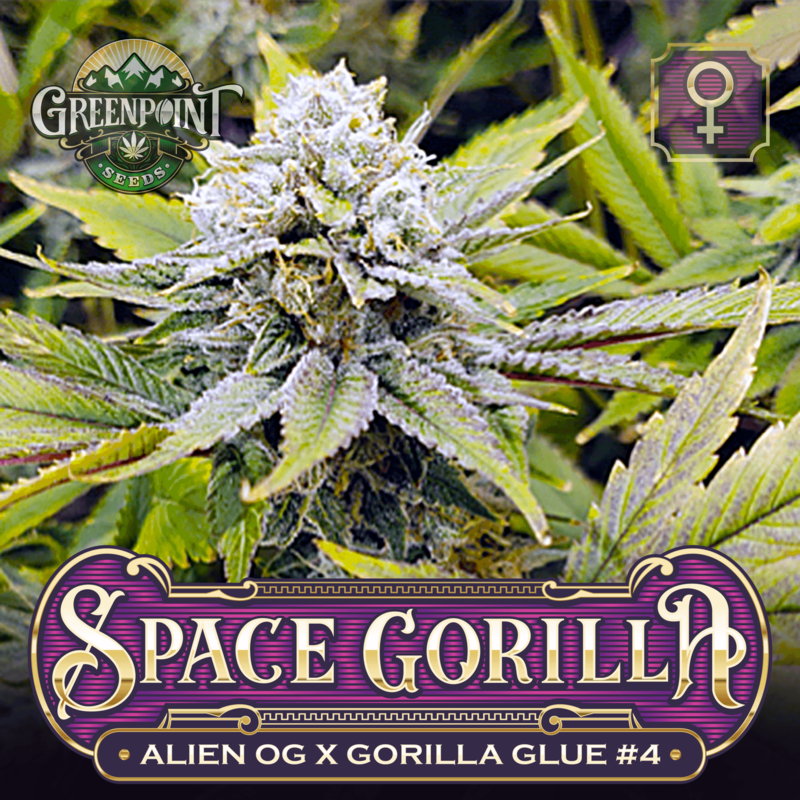 Space Gorilla unites two outstanding cultivars with Alien OG and Gorilla Glue #4 to deliver a powerful and high yielding cross. 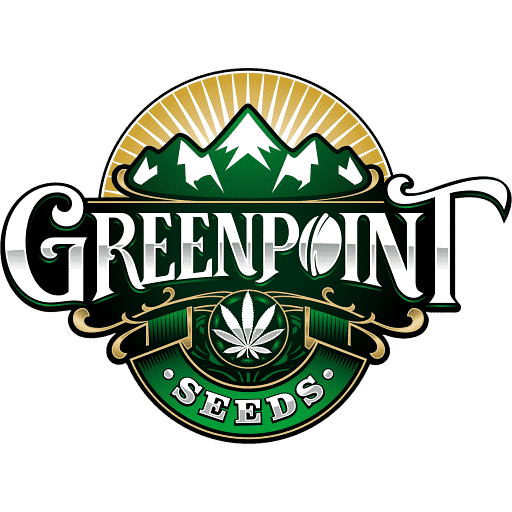 As these two cultivars collide, you can expect to find phenotypes that have all the uplifting energy and yield of Gorilla Glue #4 with the headbanging potency and mouthwatering flavor of Alien OG. Alien OG is a cross of Tahoe OG, and Alien Kush that will leave your head buzzing and your body relaxed and stress-free. 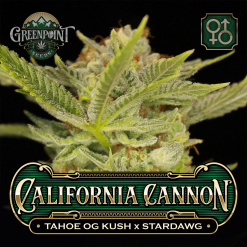 This cultivar brings forth hints of OG from the Tahoe but is also a little sweeter with the twist of Alien Kush in there. It delivers a delightful flavor of floral, earthy lemon fuel that is a hit with just about everyone who comes across it. This cross is known to test above 25% THC and delivers a relaxing effect that is great for stress, anxiety, nausea, insomnia, ADD, and ADHD. Gorilla Glue #4 is a cross of Sour Dubb, Chem Sis, and Chocolate Diesel. 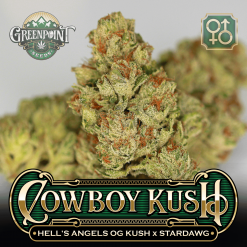 Josey Whales and Lone Watty are the two who shared this cross with the community and have since gained recognition as the guys to find one of the greatest cultivars ever to exist. This cross produces amazing offspring in breeding projects that envelope everything unique about the Gorilla Glue #4 cut which is high yields of heavy trichome producing flowers that create an unbeatable hash. 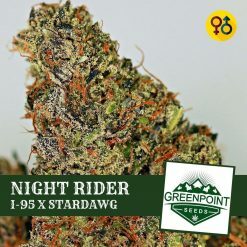 As these two interstellar phenotypes fuse to create the Space Gorilla strain, you can expect nothing short of out of this world terpenes and potency. Space Gorilla is an excellent cultivar for beginners as some of the phenotypes will have less stretch than the Original Glue Cut, but still pack on amazing flowers that grab your attention and leave you mesmerized in anticipation of harvest. 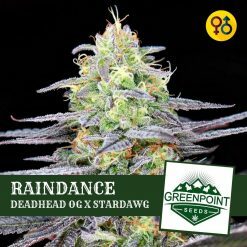 A combination of an uplifting, energetic effect mixed with a nice cerebral buzz is sure to please all levels of growers, smokers, and dabbers.